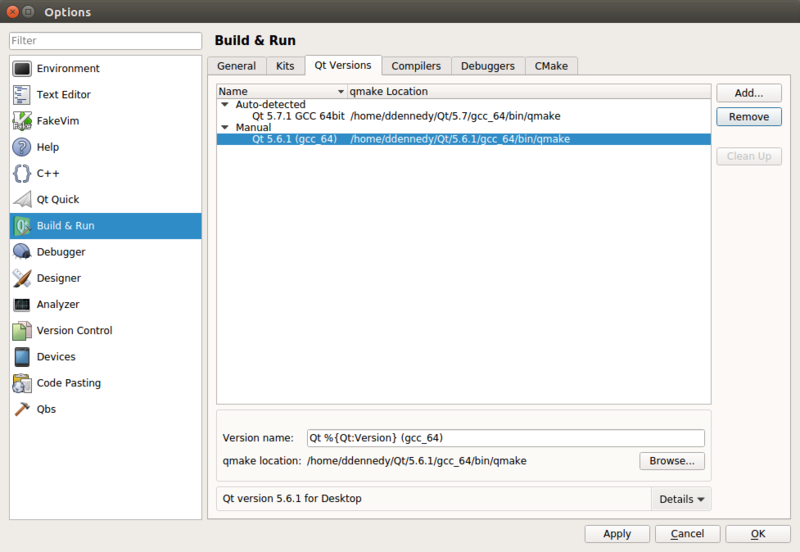 Qt Creator from the Qt project or your distribution packages. Configure all of your settings in the Build & Run section. Manually set the Qt version. 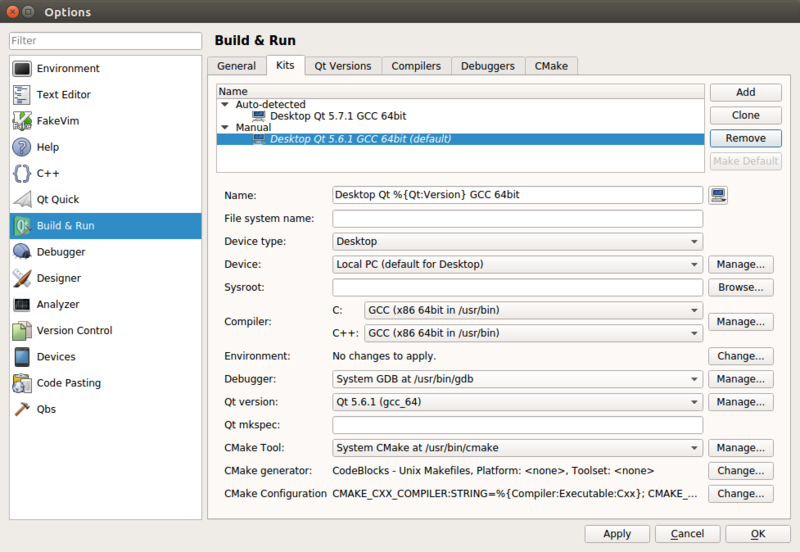 Configure the project kit from the previously set Qt version. Extract the Shotcut SDK .bz2 file to a new folder in $HOME called “Projects”. In Qt Creator open shotcut.pro from $HOME/Projects/Shotcut/Shotcut.app/src/shotcut. In the Shotcut project configuration screen find Build Settings. Under Build Steps > Make > Make arguments add “-j” for faster parallel compilation. In the Shotcut project configuration screen find Run Settings. Under Deployment click Add Deploy Step > Make, and in Make arguments add “install”. Go back to Edit mode, right-click “shotcut” in the project tree, and choose Rebuild. After clicking Run, you can confirm the newly built executable is the one that is running from the About dialog: the version will be today’s date.